I finally got out today to go grocery shopping, so we can stop the whole “eating every meal as take-out” thing we’ve been doing. And we’re starting small. This roasted carrot soup is one of the simplest, most surprisingly delicious things I make. 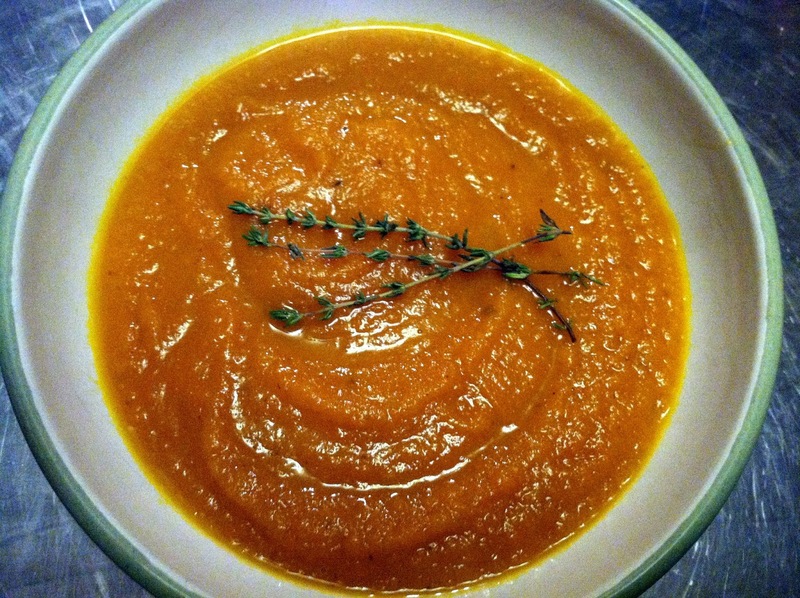 The roasted carrots get sweeter, and give the soup this depth of flavor that’s incredible. Since there are only 6 ingredients in this, make sure you get the best quality available – locally grown carrots, a good organic vegetable stock (I use either Pacific or Imagine broths, which are both amazing), etc. This soup tastes so flavorful and rich, you won’t believe so little went into it. 1. 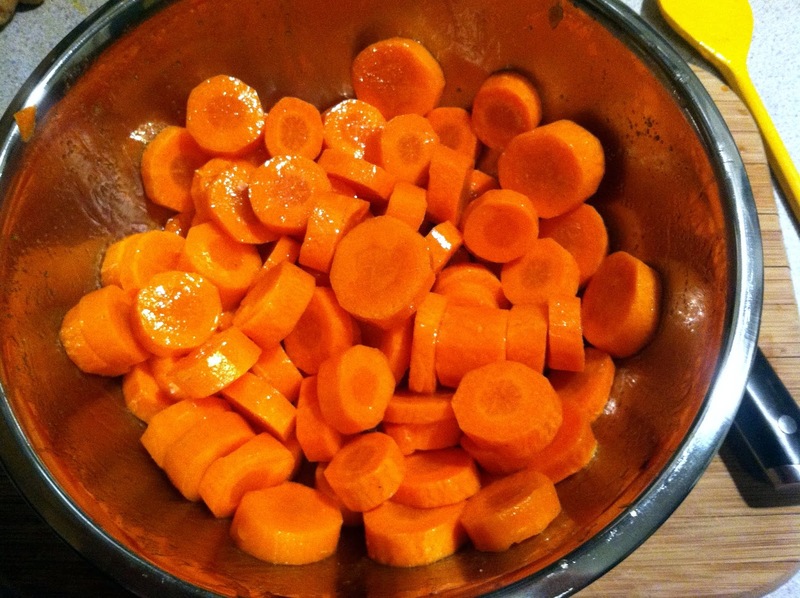 Wash carrots, then peel and cut into 1/4 inch rounds. Even though you’re peeling the skins, these still grew in the ground and are dirty. Peeling the skin is going to drag any debris from the carrot skin into the carrot itself unless you wash them beforehand. 2. 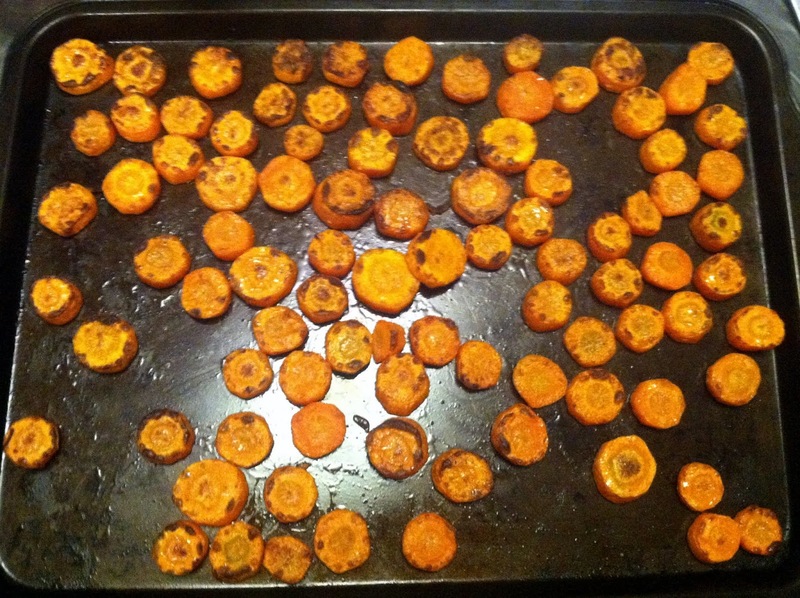 Toss carrots with a glug of olive oil and sprinkle generously with kosher salt. 3. Arrange in a single layer on a baking sheet, then broil on high until the brown and soften, flipping every five minutes or so. If the carrots get blackened edges a little, don’t worry – this actually adds a nice dimension to the soup. 2. 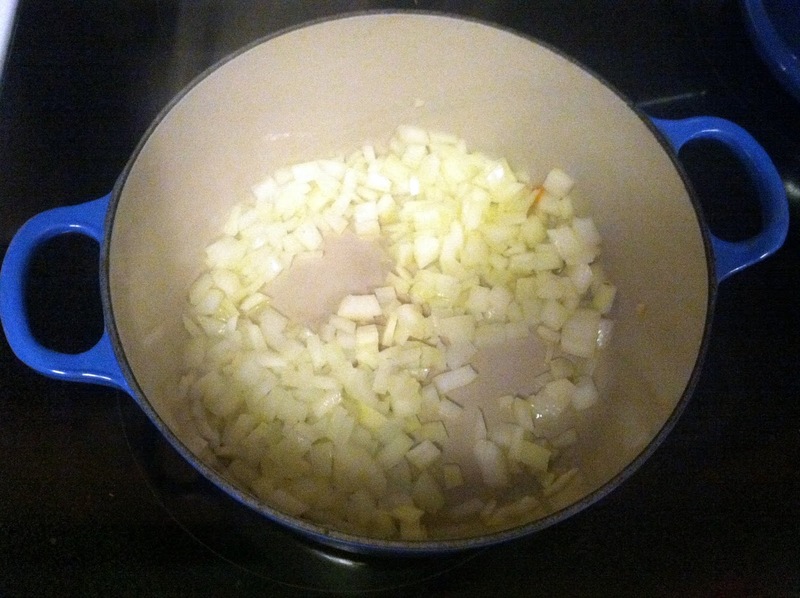 In a smaller saucepan, bring vegetable stock to a boil, then add peeled ginger and thyme spring. 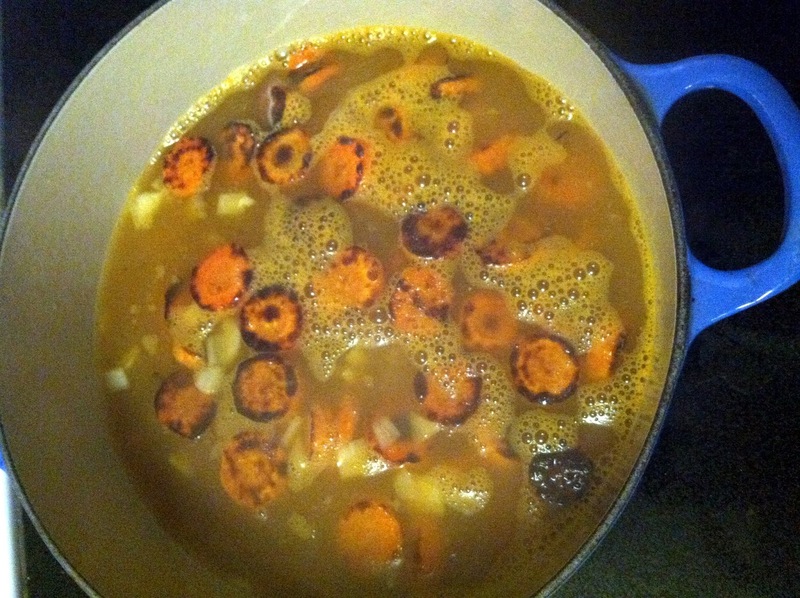 Simmer 15 minutes (while the carrots are roasting). 3. Meanwhile, in the pot you’re going to use for your soup (I use a Le Creuset Dutch Oven for this, and just about everything else – it’s borderline impossible to mess up cooking in these), “sweat” the onion in 1 T. olive oil and a pinch of kosher salt over medium-high heat until soft and translucent. Add garlic and stir until fragrant (90 seconds or so), then add carrots. 4. 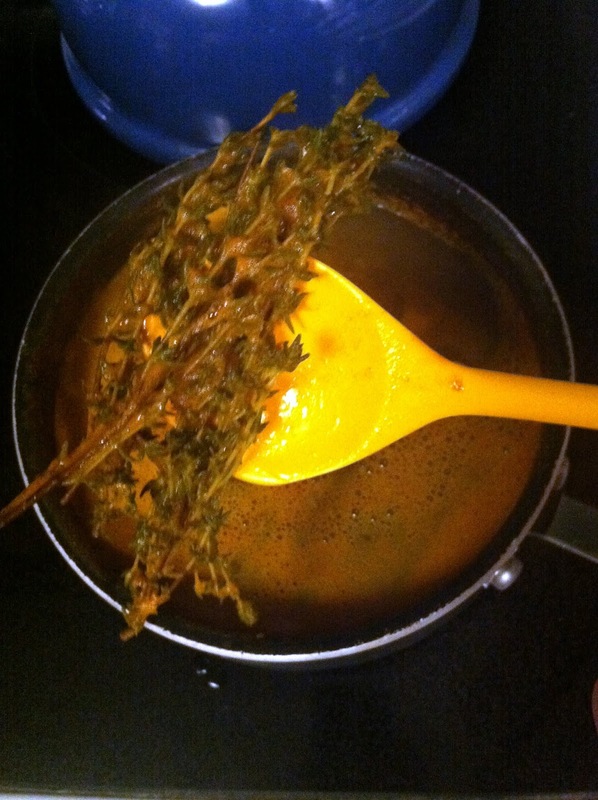 Remove the ginger and thyme from the vegetable stock and discard. 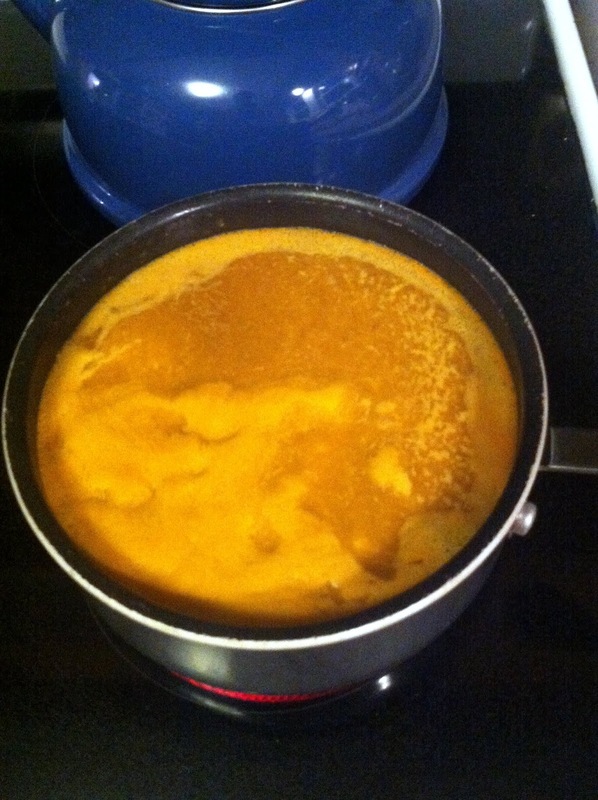 Add stock to the pot with the onion and carrot mixture. 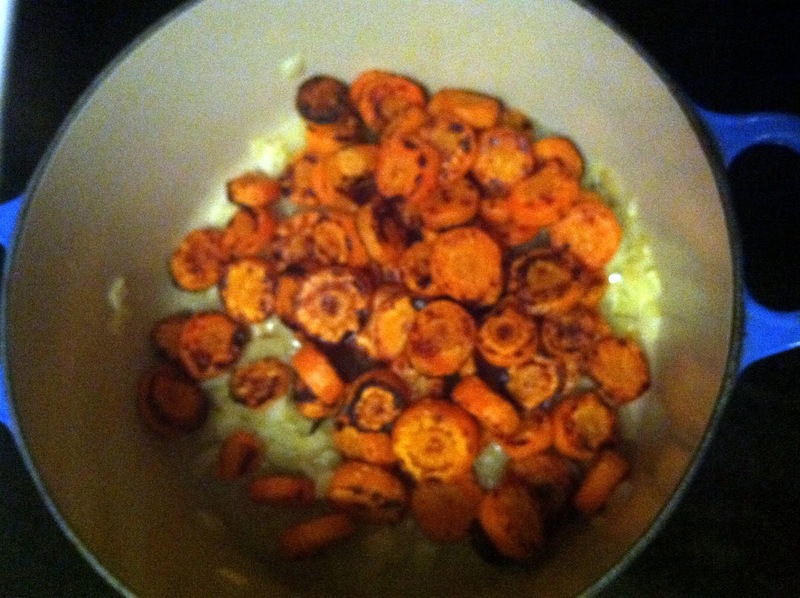 Bring to a boil and then simmer 5-10 minutes until the carrots are soft. 5. Using an immersion blender (this one looks fantastic) or a regular blender, puree the soup. If you use a regular blender, make sure your soup has cooled – if it’s hot, it could explode in the blender. 6. When soup is pureed, salt and pepper to taste. Garnish with thyme sprigs to make it look pretty. 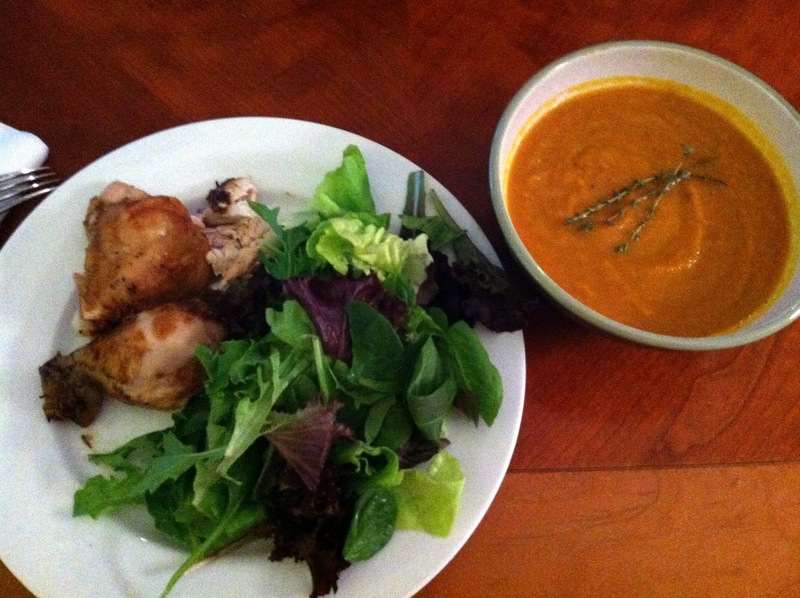 We had this soup, a roast chicken, and a salad with local greens for the first meal I cooked in over a week. So good. 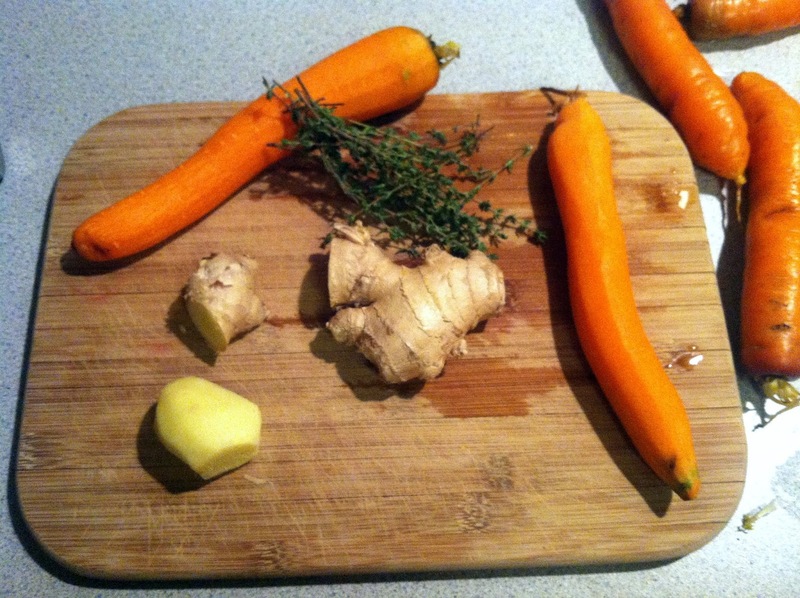 This entry was posted in dinner, first meal cooked in over a week, ginger, gluten-free, healthy, lunch, paleo, roasted carrot soup, soup, thyme, vegetarian on October 23, 2012 by westyn.